Sandstone processing plant is widely used to produce high quality sandstone aggregate by equipping with heavy duty jaw crusher, cone crusher, impact crusher and so on. SBM Machinery supplies the ideal solutions for your application in the sandstone processing industry. The conveying, crushing, screening, washing equipment manufactured by SBM Machinery has been time tested and proven in the mining and construction industry. The aggregate belt conveyor, heavy duty stone crusher, vibratory screen and sand washing machine is suitable for processing sandstone in quartz arenites, arkoses, lithic sandstones, graywacke, Eolianite, Oolite type. In the sandstone quarrying plant, SBM Machinery can supply mobile, portable, stationary sandstone processing plant for the clients. 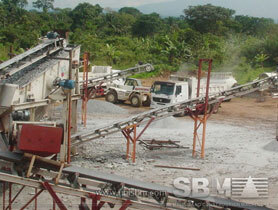 SBM can offer sandstone processing equipment for sand production line. Sandstone Processing operations include much more variation than extraction. Nevertheless, the general procedures begin with initial cutting, followed by application of a finish, and conclude with a second cutting or shaping step. Due to the array of stone products, the second and/or third steps may be eliminated, specifically when the product will have a “natural” appearance. "The complete sandstone processing plant can process hard and abrasive greywacke sandstone and yield high quality aggregate. The sandstone crushing plant features a rated capacity of 40 to 1000 tons per hour. "